“Come to Peru with an adventurous spirit” is one of the many tips that our friendly and cheerful volunteer coordinator Sarah gives to the future Spanish students and volunteers that will soon be coming to Peru to participate in our volunteer program. Sarah has been working with AMAUTA since January this year and she is now an indispensable member of the AMAUTA Peru Team. What is it like to be the AMAUTA volunteer coordinator, do you enjoy your job? Very much, I’m very glad to be here! AMAUTA is a great place, I have great colleagues and together we provide a fun and friendly environment for foreigners that come to Cusco to learn Spanish and/or to do volunteer work in Peru. 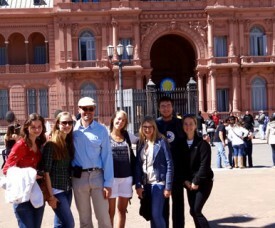 If you are planning on coming to Argentina for a Spanish course in Buenos Aires, one of the most important things you have to arrange is housing. Of course you have the option to take a homestay through the school and for sure you will have a great experience. However, if you wish to arrange your own accommodation, the following information is very usefull for you. Buenos Aires is a very big city with many neighborhoods, and if you have never been to this city, it might be difficult to choose a particular neighborhood. 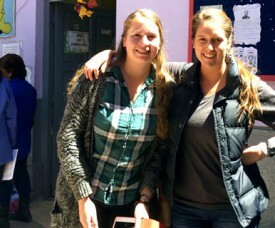 AMAUTA Spanish School in Peru offers the unique opportunity to Volunteer and learn the Spanish language while immersed in Peruvian culture. Taking part in the AMAUTA Volunteer Program in Cusco you have the unique opportunity to live and work in Peru! As a Volunteer you experience the rich, cultural diversity of the country while contributing to the Peruvian society and bridge the gap between foreign visitors and locals. AMAUTA partners with over 30 different projects, including schools, NGO’s, hospitals, orphanages etc in Cusco. Volunteer are welcome throughout the year and can start their Spanish course and volunteer placement any Monday throughout the year. 5 Amazing Bars and Restaurants you must visit in Cusco! 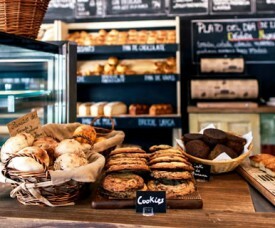 5 amazing Bars and Restaurants you must visit in Cusco. Cusco – the old Inca Capital and now a hot spot for travellers in Peru – is a city that has a lot to offer, especially with restaurants and bars. Because there is so much to offer, it is hard to decide which restaurants to go to. 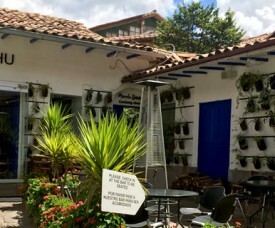 To make this decision easier, I made a list of 5 bars and restaurants that you Must Visit when you are learning Spanish in Cusco and living here for a while. Limbus Resto Bar – Dining with a view!